Located at the end of a private lane on the edge of Cornwall’s highest village, these beautifully converted holiday barns (refs B5718, B5719 and W44032) form a secluded courtyard of 200-year-old granite buildings. They have been refurbished and are tastefully furnished, with many character features, including slate floors, exposed beams and antique furnishings. Each has its own private sitting out area with unspoilt views over neighbouring fields or to the North Cornwall coast. The Roost (W44032) boasts a large picture window offering impressive views, and soft furnishings make the cottage feel warm and inviting. Ideally situated on the edge of Bodmin Moor for exploring the landscape of tors and moorland. Enjoy riding, fishing and walking, and cycling on the Camel Trail. With windsurfing, sailing and surfing all within 12 miles, visitors can enjoy the best of coast and countryside, alternating their days between tranquil landscapes and seaside fun at the beaches on the north coast. 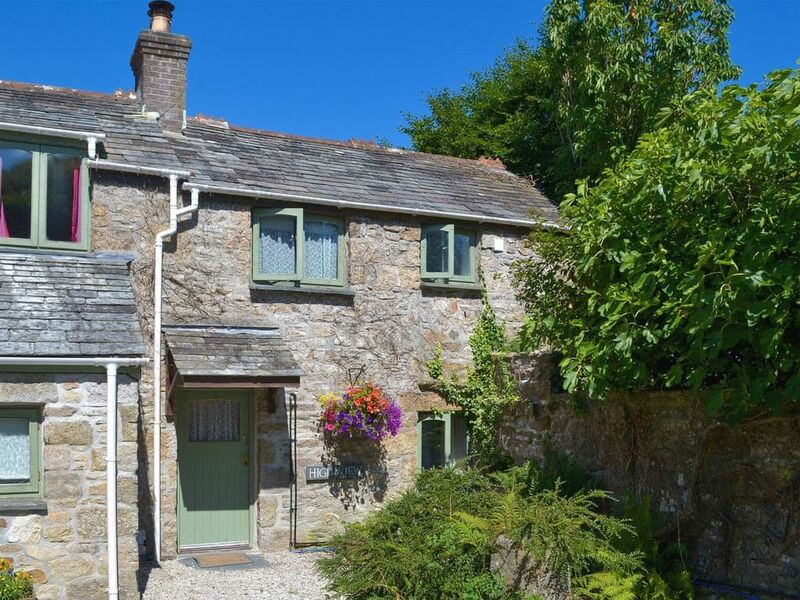 Places of interest such as Port Isaac, Boscastle and Tintagel, as well as the National Trust property at Lanhydrock and the Eden Project are also within easy reach. Pub, renowned for its cuisine, and shop ¼ mile. Real ale pub 2½ miles. Oil central heating included (available October-April). Fridge/freezer. Private courtyard garden. Barbecue. Ample parking. All properties: Woodburner in living room (initial fuel included). Electricity, bed linen and towels included. Cot and high chair on request. Freeview TV. DVD. Stereo/CD. Electric cooker. Microwave. Wi-fi. Shared use of owner’s washing machine and tumble dryer (by arrangement). No smoking.